The LEGO Minifigure collections are brilliant because they provide such an amazing range of faces, hairstyles, clothes and accessories. 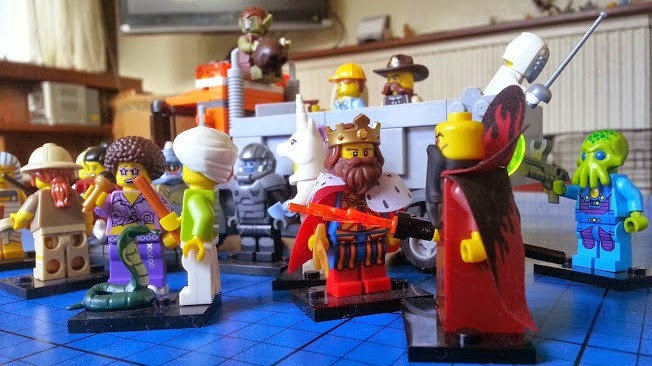 It widens general play value for all of your LEGO because you can bring in crowds, bystanders and extra people, and they can be doing pretty much whatever you want. You even have a great chance of finding one that looks just like you. 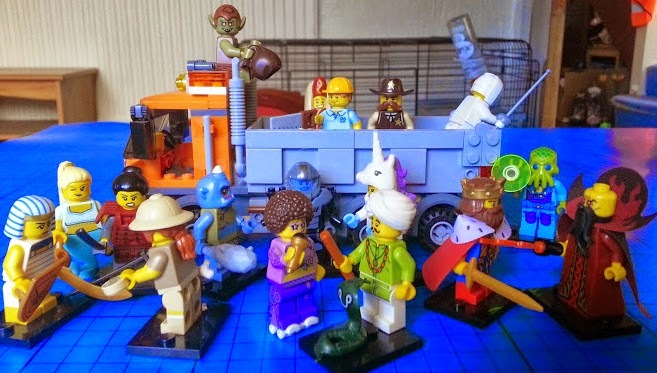 The Series 13 Minifigures are brilliant, they're my favourite series for quite a while, and they seem to be a real response to the criticism LEGO was receiving about gender roles, as we have a few really strong female characters, as well as some epic outfits and brilliantly funny characters. I mentioned them in my post about the new LEGO coming up this Spring. 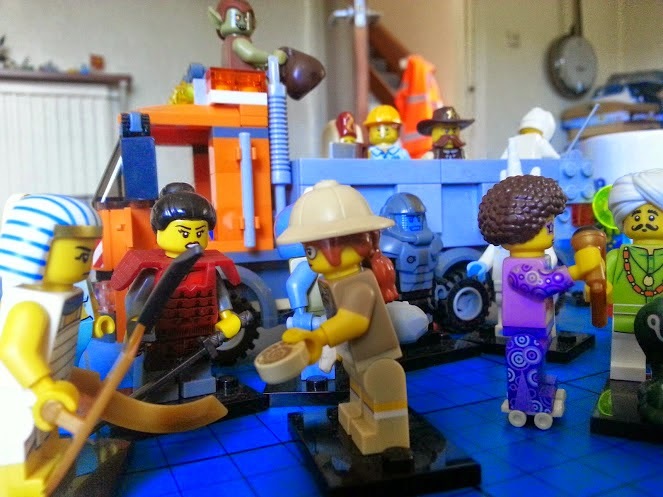 LEGO release a new series of Minifigures around once every 13 weeks. Each series has 16 new characters in blind bags and they retail at £2.49 a bag from LEGO.com. LEGO have very kindly given me 8 blind bag minifigures to give as a prize to one of my readers. To have a chance of winning, please enter using the Gleam form below. Don't be put off, Gleam is very user-friendly, quicker to use than Rafflecopter and means I can contact you easily if you win. There are no mandatory entries, each task completed earns entries into the giveaway. The giveaway will end at 11:59pm Sunday February 22nd after which no more entries will be accepted. Terms and Conditions are shown at the bottom of the Gleam form. UK entries only please. For all of my current giveaways and competitions, please see my giveaways page. 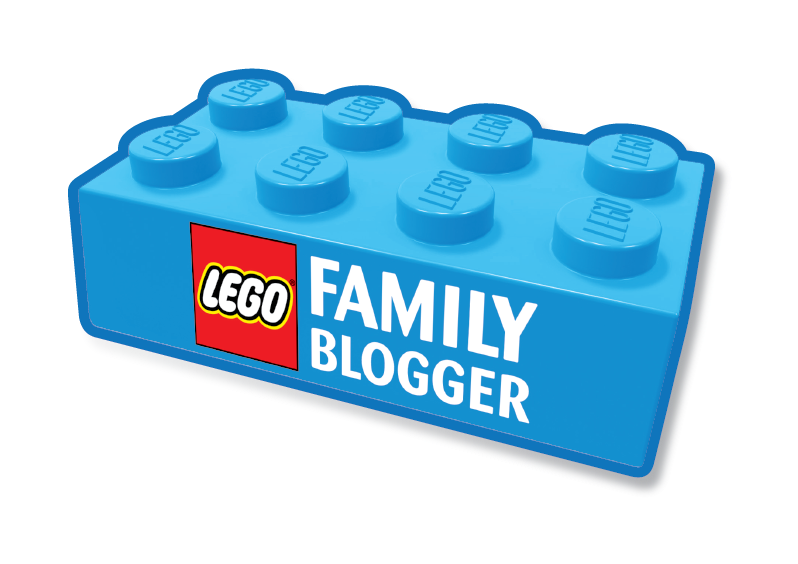 For all of my LEGO reviews see my LEGO page. I would love to see the Royal family made into Lego figures! I would like to see a replica of Disneyworld! In particular the castle at magic kingdom - made from lego! I would love a Game of Thrones series in lego. Roman Gladiators! "My name is Maximus Legoless... Father to a murdered block..."
I'd love to see a Lego Elvis! I'd love to see real explorers added to the Arctic series. i like the Egyptian figure but i like to see Achilles figure with helm and shield! My son loves all the star wars Lego! I would love to see an Edwardian street with townhouses and men in top hats etc. Think I'm feeling a bit reminiscent of the my house as it's up for sale and I love it so much. Just wish I could afford a bigger version but think we will end up with something much more modern and featureless!! I would love to see a lego series of Primeministers, id rush to the shop to buy Winston Churchill. I would like to see The Beatles in Sgt, Pepper style for a bit of music history. Game of Thrones has to appear soon, but I also love the idea of the Sgt. Pepper album cover being done by Lego characters. Henry V111 wives would be great. Lego Castle and the old pre-Star Wars Lego Sapce were the best. Branded is all well and good but it severely limits the imagination and jacks up the price! I love the Egyptian figure, I'd love to see all the Harry Potter characters made into lego figures. I like Sci Fi so Farscape or Star Trek figures would be amazing. Ancient Egyptians would be cool. Richard III would make a great Lego figure, and maybe other Kings and Queens. I remember seeing a brilliant Leonardo da Vinci minifigure - he had a fantastic beard! Joseph and his technicoloured dreamcoat - imagine how cute that coat would be! I'd like to see Lego Marie Antoinette! Henry the Eighth and his 6 Wives - would be great for a home history lesson! They should make some Game of Thrones lego! Like so many others I would love to see the Ancient Egyptians depicted in lego. My grandson would like a football team preferably in black and gold! Lego figures from the soaps would be funny! I would love Game of Thrones lego! I'd like to see Robin Hood and his Merry Men! I'd like to see a Disney/Lego crossover! Lego marvel is our favourite. Would love a Disneyworld version though, how cool would it be to build the parks?! Tudor lego would be amazing! Henry and is 6 wives and the whole of his tudor court and castles and palaces! Argh, didn't see that someone else had had the same idea (and I like to be unique!). In the case I would really like a Joan of Ark figure! It would be great to see them team with Disney to create the castle in disney world - I would be buying that for my niece - she loves both. I love Lego Minifigures and really love this series. I am desperate for the Unicorn and builder figure as my son said the builder reminds him of his Grandad who is a builder. He wants us to remove his hair as his Grand Dad is bald and make him into a picture for his grandads Birthday. Amazing Giveaway! Will kate and baby george would be fab!! Stabilo Early Writing Materials for beginners.